Earlier this week, Republican leaders in both houses of Congress took the FBI to task for its failure to be transparent. In the House, it was apparently necessary to serve a subpoena on an FBI agent to obtain what members of Congress want to see; and in the Senate, the chairman of the Judiciary Committee accused the FBI itself of lawbreaking. And then we learned that people who worked for Clinton were instructed to destroy several of her mobile devices and to remove permanently the stored emails on one of her servers. All this was done after these items had been subpoenaed by two committees of the House of Representatives. Yet the FBI — which knew of the post-subpoena destruction of evidence and which acknowledged that Clinton failed to return thousands of her work-related emails as she had been ordered by a federal judge to do, notwithstanding at least three of her assertions to the contrary while under oath — chose to overlook the evidence of not only espionage but also obstruction of justice, tampering with evidence, perjury and misleading Congress. Myths, Misunderstandings and Outright lies about owning Gold. Are you at risk? As if to defend itself in the face of this most un-FBI-like behavior, the FBI then released to the public selected portions of its work product, which purported to back up its decision to recommend against the prosecution of Clinton. Normally, the FBI gathers evidence and works with federal prosecutors and federal grand juries to build cases against targets in criminal probes, and its recommendations to prosecutors are confidential. It is hard to believe that the FBI was free to do its work, and it is probably true that the FBI was restrained by the White House early on. There were numerous aberrations in the investigation. There was no grand jury; no subpoenas were issued; no search warrants were served. Two people claimed to have received immunity, yet the statutory prerequisite for immunity — giving testimony before a grand or trial jury — was never present. Because many members of Congress do not believe that the FBI acted free of political interference, they demanded to see the full FBI files in the case, not just the selected portions of the files that the FBI had released. In the case of the House, the FBI declined to surrender its files, and the agent it sent to testify about them declined to reveal their contents. This led to a dramatic service of a subpoena by the chairman of the House Oversight and Government Reform Committee on that FBI agent while he was testifying — all captured on live nationally broadcast television. Now the FBI, which usually serves subpoenas and executes search warrants, is left with the alternative of complying with this unwanted subpoena by producing its entire file or arguing to a federal judge why it should not be compelled to do so. According to Sen. Chuck Grassley, chairman of the Senate Judiciary Committee, the FBI violated federal law by commingling classified and unclassified materials in the safe room, thereby making it unlawful for senators to discuss publicly the unclassified material. Imposing such a burden of silence on U.S. senators about unclassified materials is unlawful and unconstitutional. What does the FBI have to hide? Whence comes the authority of the FBI to bar senators from commenting on unclassified materials? Who cares about this? Everyone who believes that the government works for us should care because we have a right to know what the government — here the FBI — has done in our names. Sen. Grassley has opined that if he could reveal what he has seen in the FBI unclassified records, it would be of profound interest to American voters. What is going on here? The FBI investigation of Hillary Clinton has not served the rule of law. The rule of law — a pillar of American constitutional freedom since the end of the Civil War — mandates that the laws are to be enforced equally. No one is beneath their protection, and no one is above their requirements. To enforce the rule of law, we have hired the FBI. What do we do when the FBI rejects its basic responsibilities? Reprinted with the author’s permission. 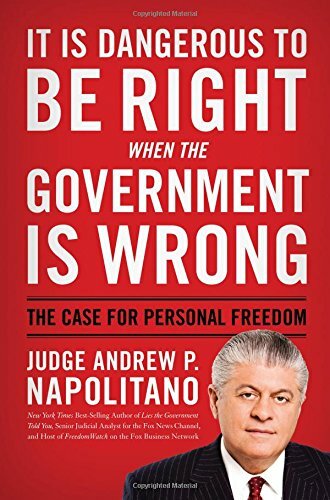 Andrew P. Napolitano [send him mail], a former judge of the Superior Court of New Jersey, is the senior judicial analyst at Fox News Channel. 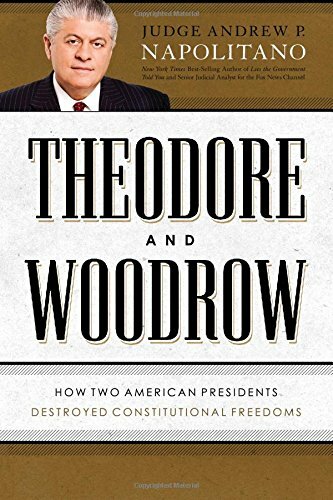 Judge Napolitano has written nine books on the U.S. Constitution. 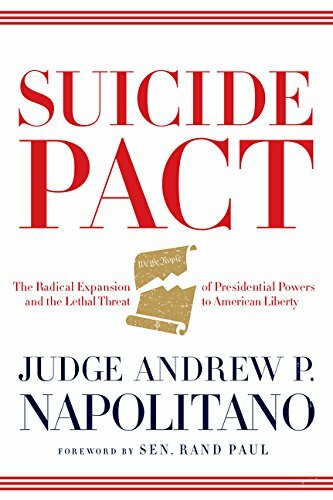 The most recent is Suicide Pact: The Radical Expansion of Presidential Powers and the Lethal Threat to American Liberty. To find out more about Judge Napolitano and to read features by other Creators Syndicate writers and cartoonists, visit creators.com. Are You Optimistic, Trusting, or Something Else?